The Advertiser editor Sam Weir is leaving Adelaide after more than four years to take over News Corp’s Brisbane Courier-Mail. News Corp announced the move this morning after informing local staff, with executive chairman Australasia Michael Miller saying he was “delighted” that Weir had accepted the Brisbane role. Weir said he was “delighted to accept the challenge of editing The Courier-Mail when the paper and the state it serves are going through significant change”. Much less delighted is Courier-Mail editor Lachlan Heywood, who will leave News Corp as a result of the move. The changes come only a month after Weir joined other Australian editors at a regular grilling with their hands-on boss, Rupert Murdoch, in LA. As for the Tiser, Miller says an announcement will be made shortly on a new editor. Some insiders are hoping that former Messenger editor-in-chief Matt Deighton will return from Tasmania, where he edits News Corp’s Mercury newspaper, to be Weir’s successor. Deighton replaced Andrew Holman at The Mercury in 2014, when Holman returned to Adelaide to edit the Sunday Mail. Has Nick Xenophon sold independent media down the river, or has he saved us? This week the South Australian Senator brokered a deal which saw the Federal Government’s “media reforms” get through the Senate, despite opposition from Labor. These reforms – demanded by the big boys of Australian media, including the television networks, Fairfax, and News Corp – are likely to encourage greater concentration of media ownership in Australia, which is already dominated by a small collection of companies. The big boys, for whom self-interest is a core value (maybe the core value), argue that their existence is in jeopardy thanks to the nasty behaviour of Google and Facebook who are hoovering up all the digital revenue. Xenophon, to his credit, has been trying to stitch up a deal to ensure the likes of InDaily aren’t crushed by the new media order – in which Murdoch, or a Murdoch-type, could move to own all the newspapers in Adelaide, a radio station and a television network. 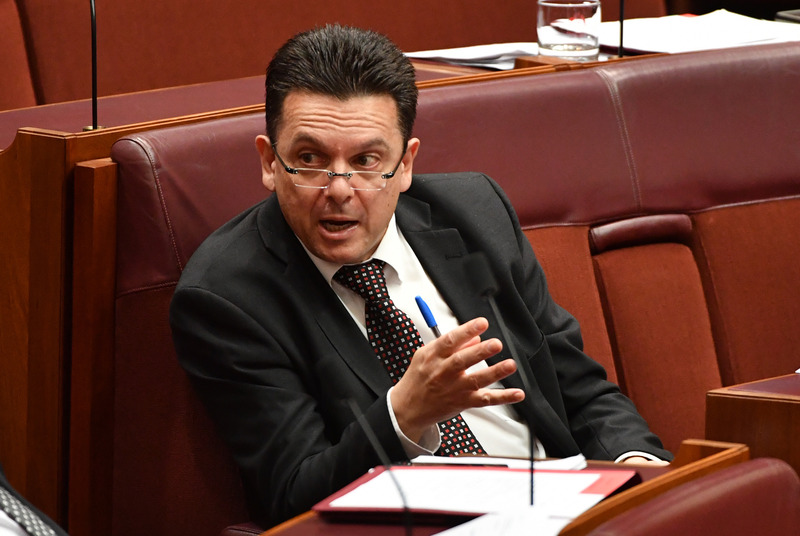 Of course, Xenophon could have simply knocked off the Government’s reforms, but the media-savvy Senator was under extreme pressure to find a way through the stalemate. His first idea was to provide small companies involved in public interest journalism with tax deductability, similar to the way R&D is treated in Australia. The Government didn’t like this: it would, potentially, cost too much, and provide too much impetus for a sector that it eyes suspiciously (think sites like Crikey and The Saturday Paper, which both hold the feds, fiercely, to account). The compromise, eventually agreed to by Cabinet, is a $50 million “innovation” fund, which – unfortunately – won’t help sites like InDaily employ journalists (the Government wouldn’t cop that) but instead invest in “business” activities, equipment, training and improved technology. The other aspect of Xenophon’s deal includes funding for smaller and regional outlets to employ cadet journalists, which is an okay idea, but what happens when the three-year funding arrangement runs out? The other part of the deal, which will fund scholarships for regional students to study journalism, seems futile. What is the point of training more journalists when there is already an oversupply of qualified scribes and not enough jobs for them? On the other side, the big end of media town are getting a grab bag of goodies: waived broadcasting licence fees, freedom to hoover up media assets and the theoretical capacity to tie up markets like Adelaide very tightly indeed. In South Australia, this package will likely increase the Murdoch media’s control of the local market. We shall see what the likes of InDaily will gain from the deal. It’s possible we could free up some resources to devote to journalism – time will tell. In Parliament yesterday, Communications Minister Mitch Fifield – disconcertingly – didn’t know whether we would be eligible for assistance. He also said some nice things about us. The other aspect of the overall media package, however, might also have dire consequences for the popular and, arguably, most important media organisation in South Australia – the ABC. By waving the Government’s media reforms through, Xenophon has given tacit approval to Pauline Hanson’s demands that she negotiated with the Government in return for her support. She has demanded – and received – a guarantee that the ABC will be subject to a “competitive neutrality” inquiry. What this means is anyone’s guess. Some players – including Greens leader Richard Di Natale – believe it could neuter some ABC products, such as iView, or even force the national broadcaster out of the online news game. Xenophon told InDaily that he didn’t oppose One Nation’s demand for a review of the ABC because that’s totally within the Government’s power to do anyway, but he would fight against any subsequent measures that would damage the ABC’s standing, including any competitive neutrality concept. “We won’t support anything that will impact (negatively) on the ABC,” he said. Former Starcom general manager Mark Clemow has joined Blaze Advertising Adelaide as business director. As reported by this column in August, Clemow lost his job as general manager at Starcom after the agency decided to run the local office out of Melbourne. However, it was only a short period on gardening leave for the experienced ad man, who was snapped up by the Blaze full service agency. Blaze Australia CEO Leanne Krstevski said Clemow was an outstanding strategic fit for the business. Media Week is a regular column on South Australia’s media, public relations and marketing industries.